At Edwards we understand how important it is to select the right school for your loved ones, which is why we have spent a lot of time creating an area on our website dedicated purely to information on local schools, so that you don’t have to. Below you can find information on nurseries to colleges, so whatever age your loved ones are, you have a one stop information shop. 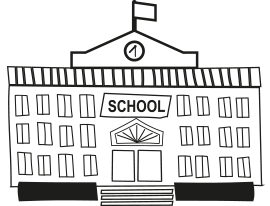 Stratford is blessed with excellent schooling on its doorstep including public and private schools. The most famous school in Stratford is King Edward VI school, which is where William Shakespeare is believed to have studied. It is an all-boys school, and one of the few schools which selects its pupils using the Eleven plus. There is also an all-girls selective school, Stratford-upon-Avon Grammar School for Girls, in Shottery, a short distance out of town. For further information on schools in the area and their Ofsted rating, please refer to the interactive map below. You can click on each school for more details. To make life easier we have included links to useful websites that give you information on everything from Admissions to Term dates.